To be the very best, Pokémon trainers should not be spending money. Since the game’s release on July 6, Pokémon Go has become a worldwide phenomenon. In the U.S., the app has been downloaded 7.5 million times on Android and iOS, according to SensorTower. The app analytics company reported that the game is making $1.6 million per day on iOS. Pokémon Go has become so popular that it’s being used more than Twitter, Facebook and even Snapchat. The obsession with the game is not surprising to me. I grew up with Pokémon. From waking up early on Saturday mornings to watch the TV show to owning a few decks of the playing cards, Pokémon was a huge part of my childhood. When the game was first released, I was initially skeptical. After a few days, my roommate convinced me to download the app. Since then, I’ve been hooked. My roommate, boyfriend and I traversed all of Austin, Texas, trying to capture the original 150 Pokémon. The game allows players to purchase PokeCoins ranging from 99 cents for 100 PokeCoins to $99.99 for 14,500 PokeCoins. PokeCoins allow gamers to purchase items such as lucky eggs, lure modules, incense, bag updates and other items. These items can help capture Pokemon or make it easier for players to advance to the next level. Since I started playing, however, I have reached level 13 and captured 60 different types of Pokémon without spending a dime. PokeStops are blue cubes that turn into a blue Pokeball symbol in the map. PokeStops allow gamers to receive free items that can also be purchased at the game’s store. The items include PokeBalls, lures, egg incubators, lucky eggs, as well as other much-needed items. Even though it takes longer, the items at the store can be received for free at PokeStops. Finding a location, such as a park or tourist attraction, that has a lot of PokeStops allows gamers to limit their travel and the temptation to purchase items. If a gamer is at a park with five PokeStops, he or she can walk to each PokeStop to get new, free items while trying to find Pokemon. After a few minutes, gamers can stop at each PokeStop once again for more items. This saves gas from driving around to PokeStops that might be far away and helps the gamer stay away from in-app purchases since their bag will be refilled with necessary items. Lures can help capture Pokémon, but you can easily find free lures — instead of buying them with in-app purchases. Places with a high concentration of PokeStops tend to have never-ending lures (for the most part). Gamers can stop by a free lure and let the Pokémon come to them. The one flaw to lures is that they attract Pokémon that most gamers might already have, such as pidgeys, zubats and rattatas. Capturing these Pokémon will help increase level status as well as give the gamer the candy needed to evolve Pokémon or make them stronger. That also helps to increase level status. I was able to capture so many eevees at a park near my apartment that I managed to evolve my two strongest eevees into a vaporeon and a flareon. 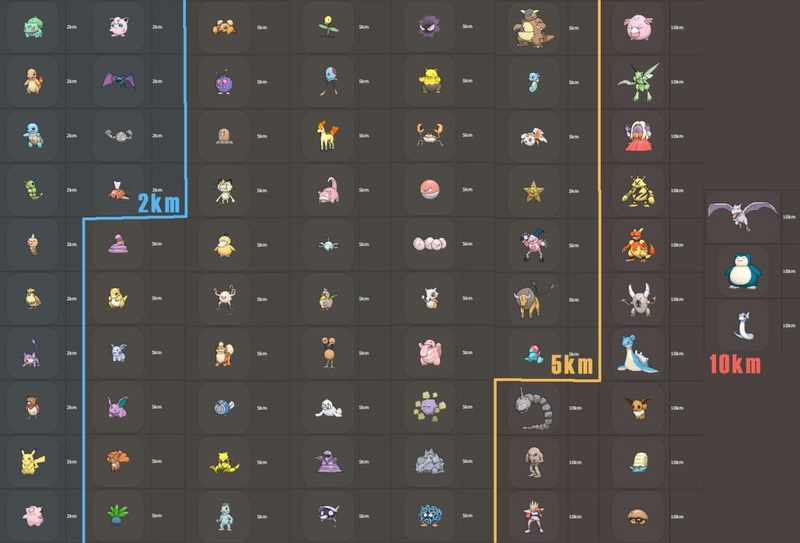 Plus, the higher level status means more access to rare Pokémon. Many PokeStops give out eggs that cannot be purchased in the store. These eggs have Pokémon inside them. To hatch the eggs, gamers must place them in incubators and walk a certain distance. The farther the distance, the rarer the Pokémon. One egg I received made me walk 10 kilometers (6.21 miles). When it hatched, I received a magmar. If gamers can’t go out, they can just walk around their apartment or home to reach the desired distance to get their Pokémon. 3. Cheap food and drinks. Many PokeStops are located at restaurants and bars. Instead of getting annoyed at the influx of gamer traffic, many business owners and bar crawl organizers are creating PokeSpecials of free or cheap menu items once the visitors prove they are Pokémon players. As a result, gamers have unlimited access to PokeStops as they eat or drink. Sometimes, the restaurants or bars will also pay for non-stop lures so that people will visit. For example, if a player shares a picture of a Pokémon they captured at Waterloo Ice House in Austin, that Pokémon player receives a 10 percent discount on food and drink purchases. Trainers need to eat, so why not eat and drink for cheap (or free) while capturing Pokémon? A bar crawl in Reno, Nevada, is currently promoting cheap drink specials and non-stop lures during the bar crawl for those who sign up. The best part is that Pokémon players can share tips with other gamers. If you have any money-saving Pokémon Go tips, email me at kimberley.carmona@creditcards.com. Or tweet me your tips at @kimsbers. Just remember that to be a great Pokemon trainer, you don’t need to rack up charges on your credit cards, debit cards or mobile payment apps. Be like Ash, and go on your own adventure.